What is your cost per pan? About $6. Do you make it all from scratch? No--3 boxes mix, plus add-ins. How many servings? 24 jumbo squares or 100 tea-size bites when baked in a 2" deep pan. 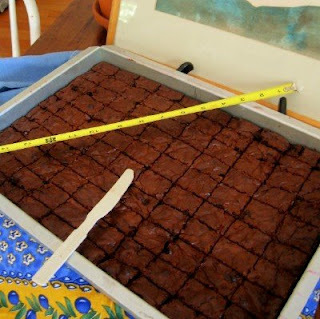 This 11 x 15" Wilton baking pan is easily divided into 100 tall bites. For picture-perfect edges, use a plastic knife to saw with an up-and-down motion. I'm amazed that you could get one hundred pieces from one pan...more amazed that someone could eat JUST 1/100th of the pan. I was prepared to make TWO pans, thinking the size of 1/100th of a pan would be tiny. But when you bake these in a 2.5" cake pan, they come out taller than they are wide--and they are so dense and moist, one is really all you could eat. Especially at a dessert thing when there will be several items plus ice cream. Oh, I could eat more than 1/100 of a pan - I don't care how dense they were! With ice cream! And tastes of other goodies! May I ask why you are making so many brownies? I just baked brownies this afternoon. I'm glad to know this secret; it'll come in handy this Christmas season when I host a desert party. As always, you are a genius. Oh, this is all my husband's aunt's expertise! She is an accountant by trade, and I knew she would have figured out the cost & output exactly. a plastic knife for clean edges Lord? THANKS Y'ALL! Brownies are the reason you can always find a plastic knife in my silverware drawer. Works like a charm every time. I must admit that I too have been known to use a ruler when cutting desserts. This could be a yummy trick to know! It's hard to beat boxed brownie mixes for taste and texture, IMO, for a standard brownie, at least. So it's neat to know that a bakery uses them, too. Now I need one of those size pans...what are the odds of finding it at Goodwill? (We're woefully short on other thrift stores in this area.) Thanks for sharing the plastic knife trick, never would have thought that! 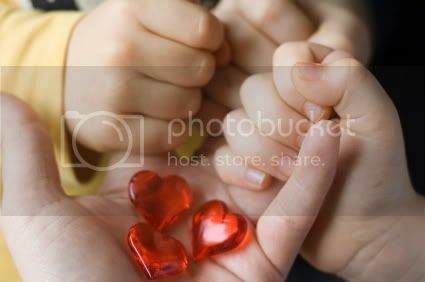 Thank you so much for the link. I must tell you that I am a little starstruck, having loved your blog for a while now! I think I'll be heading back to Publix for more brownies before the sale is over. 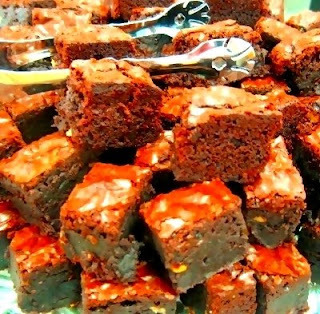 When fall begins, it seems like there is always some event that I need to take brownies to! A great tip! Thanks for posting this. It will be great for those bake sale fund raisers. LOL - I'm also a CPA and never thought to use a ruler - I think another OCD-like habit has been born! The plastic knives work great, but I think it's the up-and-down motion that really helps me. A Wendy's knife! Who'd have thought? Have you ever made cutting templates Meredith? i haven't but always think I should. if you turn them out on parchment paper or the counter top you can cut them cleanly with dental floss. Thank you for this great hint. I am on the look out for this pan. How long did you cook the three boxes of brownie mix for this size pan?